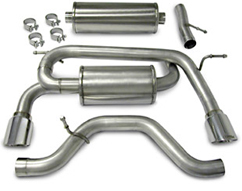 Straight-through, 2.5” nonrestrictive design specifically tuned for the vehicle. 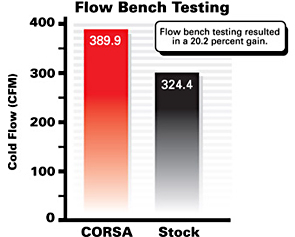 Flow bench-tested 20.2% gain in exhaust flow vs. stock muffler. Patented CORSA Reflective Sound Cancellation™ (RSC™) Technology. 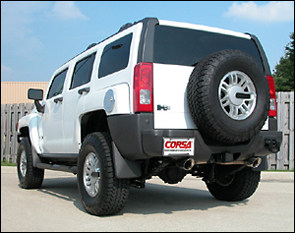 Dual rear exit with handcrafted Pro-Series 4.0” tips for enhanced vehicle appearance.